Located in Forester’s Falls, Ontario, the Ottawa River is just 75 miles from Ottawa City, the nation’s capital, and within five hours of major metropolitan areas including Montreal, Toronto, and Syracuse, NY. Ottawa River rafting is all about big: big rapids, big wildlife, and big wilderness. It is the only river in the east with rapids as voluminous as the rapids on the Colorado River through the Grand Canyon. Enormous waves seem to swallow eighteen-foot rafts and then spit them out on the Class IV stretches of the Ottawa River. 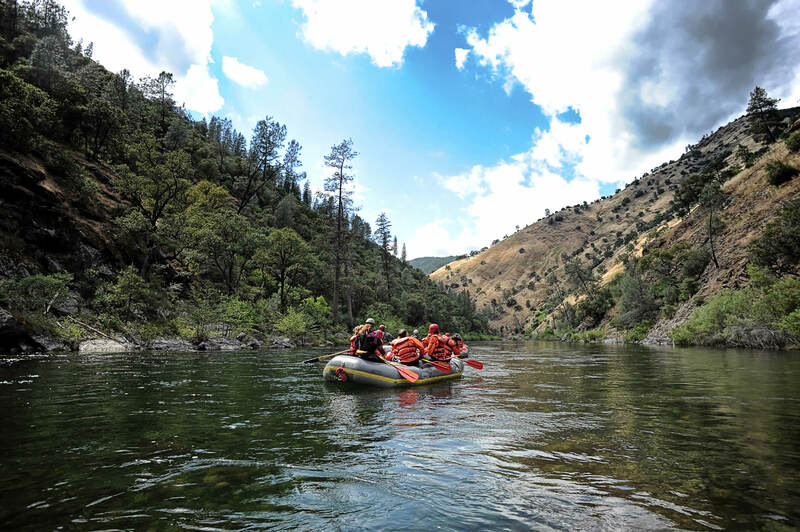 Trips on the Main and Middle Channels of the Ottawa begin at the same place, split below the infamous McCoy’s Chute Rapid, and then join together again for Hell’s Half Mile. Both rafting trips maneuver in and out of small river islands with sandy beaches and beautiful waterfalls. There is also a stretch on the Lower Ottawa River that is perfect for first-timers and kids. Due to dams upstream that allow the water to heat up in the sun, the Ottawa River is warm and flows are consistent during the summer. Warm water and big rapids make for a great Ontario whitewater rafting vacation. Bus Eater and the White Faced Monster are two names of big Class IV rapids on the Main Ottawa River. Main Ottawa River rafting trips are full of boat-soaking waves, enormous “holes”, and beautiful, interesting scenery. Ottawa River trips on the Main section navigate through the channels and waterfalls that separate the famous Rocher Fendu islands. The Main Ottawa River rafting trips are high adventure, extreme rafting trips that will thrill even the most experienced rafters. 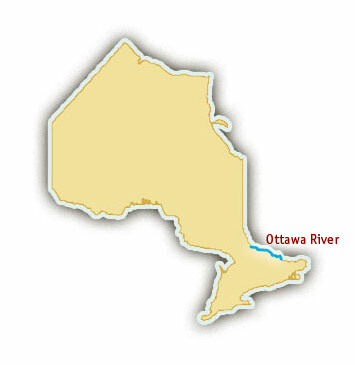 Since the river water is warm during the summer, and Ontario is often quite hot and humid, no one will mind the waves drenching them! Rafting trips on the Middle Channel of the Ottawa River are run less often than the Main Channel. The Middle Channel, which is more remote, also has difficult Class II-IV rapids and it runs through the Rocher Fendu section as well. Whitewater rafters drop over waterfall rapids, paddle through skyscraper waves and plunge into huge hydraulics for a thrilling Ottawa River rafting trip. The Middle Channel of the Ottawa is known for requiring quick moves on its narrow, technical drops. Garvin’s Chute, a cascading fifteen-foot Class IV drop that requires guts and precision, is one of the most famous rapids. A rafting trip on the Lower Ottawa River is a great adventure for anyone nervous about rafting, newcomers to the sport, or families with children. Lower Ottawa River rafting still offers fun Class II rapids without the technical whitewater challenges of the Main and Middle Channels. There is an island on the Lower stretch called Fish Island, which is a fun spot for fishing. Wildlife abounds along the Ottawa River including fascinating creatures such as elk, Bald Eagles, and bears. Although Ontario whitewater rafting adventures are driving distance from urban centers, the Ottawa River offers a true wilderness experience. The Ottawa River is dam-controlled and has consistent flows, so rafting trips are available throughout the Spring and Summer.